Tonight the moon will pass directly between the earth and the sun, and so we will see only the dark side of the moon, as it were. 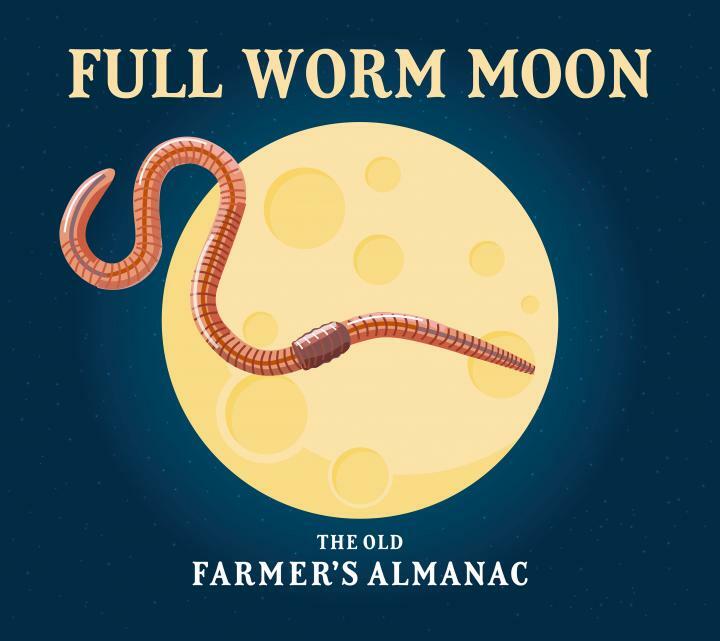 The arrival of the Worm Moon celebrates the coming of earthworms to the surface in a season of planting, and according to the Old Farmer’s Almanac, today is the day to plant cucumbers, squash and many other hearty crops. If you’re not quite prepared to plant today, make an effort to get something happening by the end of the weekend. If it’s just not going to happen this year, just nurture the desire to grow things until next year, and keep an eye on the moon until then.